My name is Shoshi Herscu, an investigative journalist and a writer. 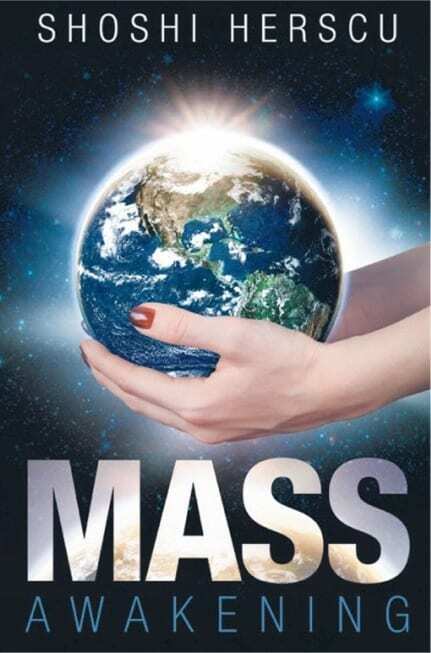 My book Mass Awakening is a cover to cover full disclosure book about the great awakening of humanity globally, the Cabal’s dark agenda, and the upcoming changes in all aspects of our lives on earth. According to Merriam-Webster dictionary, ascend means to move upward, to rise from a lower level or degree, to go or move up, and also to succeed (ascend the throne). A lot of sources describe what “ascension” in different terms and meanings, including religious, metaphysical, and spiritual. This article is going to focus on the spiritual aspect and how it affects us all in general. Hira Hosen blog describes ascension as a state of being aware, expansion of consciousness, and raising our vibration, so that we live from a higher state of awareness of compassion, forgiveness and basically from our hearts and not our minds. While these descriptions are more passive in essence, Ask-angels.com explains that ascension requires “choosing to consciously step into a higher level of light.” This isn’t something passive that happens to you one day and you become awakened or ascended. It is an active choice of rising to a higher level of awareness, of consciousness. Those who choose to ascend do it knowingly, even if they don’t know this term. They may find out that they chose this path willingly in hindsight, as I became aware of this only after several years on this path of awakening to the true reality of our world, what is really going on and where we are heading in the near future, and even who I am. This is very different from those who are unaware of this and continue living as though only what they were taught and that only what they see or feel with their five sense is real; that there’s nothing beyond this. 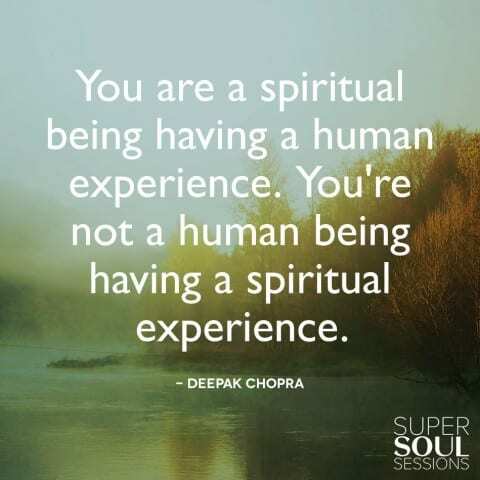 That’s why those on the ascension path have such a hard time communicating the information revealed to them and their experiences to those who do not experience this. So those on the ascension path may feel lonely. According to Ask-angels.com, we ascend only through expanded consciousness “by integrating the higher vibrational consciousness of our spiritual selves, we are able to ascend.” It doesn’t happen at once, but incrementally as it takes time to integrate this higher vibrational consciousness. It is an all-out transformation, including mental, spiritual, and physical. I’ll only briefly mention The Event which is, according to different sources, including David Wilcock and COBRA (the resistance movement), a major solar flash event that is supposed to instantaneously raise our vibration to a higher state of awareness (5D) and elaborate on this event in an upcoming article. How Is the Awakening Connected to Ascension? According to Lonewolf, spiritual awakening is also spiritual ascension. It is an evolutionary process that occurs naturally to individuals who choose this. Spiritual ascension or being “upgraded” refers to experiencing an inner expansion of the soul, heart, or mind. It is about “transcending old limiting habits, beliefs, mindsets, and ways of being.” But spiritual awakening is not a bed of roses and as I can attest, it is full of shocks from revelations about our reality as a result, you may experience the dark night of the soul according to Lonewolf blog. You can check here which one you experience or perhaps you experience several or all. I understand “awakening” as the awakening to the truth without denying what is revealed to us even if it’s devastating; see the dark agenda of the Cabal and all that’s related to our enslavement and exploitation. On the other hand, it also includes the awareness to the mass awakening happening globally and which will lead to our liberation from this matrix or system of subjugation. It doesn’t mean that you are God. “You are a spark of God. You are a divine human and ascension is returning to this new template; to your true divine nature.” Moreover, according to Ask-angels.com, as waves of spiritual energy and light continuously flow onto earth at this time from what the blog calls “Divine realms”, ascension is potentially possible to everyone on earth today which is a very uplifting message to all of us who have unawakened loved ones. However, as it was previously mentioned, people need to choose to ascend. Everyone can potentially participate in the ascension on this earth but it requires to wish it, self-responsibility and commitment to this path that you well know it is not an easy path to thread. You need to be constantly aware of old habits and patterns in order to transcend them and evolve. Not only we humans are ascending. Earth, Gaia is also ascending to higher vibration which affects us, as our vibrations rising higher on our evolution and ascension. These are both scary and very exciting times, too. According to Hira Hosen blog, this time in history, anyone who has a wish to ascend is able to do so due to the very high vibrational frequencies flooding earth that also facilitates earth ascension. Therefore, you don’t need masters or join a particular community to start such an evolutionary process. The good news is that currently it’s accessible to everyone who wishes this. This shift is happening by shedding “releasing all condensed and negative energy and raising her entire physical form and its surrounding subtle bodies (which she has just the same as the human beings).” according to The Light Party site. This also applies to everything that identifies with earth and moving with her to a higher frequency, including humans and the flora and fauna. This is a huge opportunity for all of us to create heaven on earth. On Easter 2017 it spiked to 90Hz that is seen as a big white spot on this chart in this video. According to Jordan Sather, these are energy spikes that “saturate” us with this energy. He discusses how the different brainwave ranges correlate with the Schumann Resonance frequencies. Our brain is also “entrained” or affected by these waves. “When you’re awake, you want to be in the Alpha range.” (Jordan Sather) Beta and Gamma are a high alertness states of mind, “higher information processing, high levels of insight” (Jordan Sather) However, according to Sather, the higher levels of alertness can also be associated with a high level of anxiety.” So you don’t always want to be at such high levels of awareness. Can you see the correlation between the Schumann Resonance and the brainwaves in the figures mentioned above? If you want to know what was the Schumann Resonance recently, then according to DisclosureNews.it, on April 5, 2019 at 5 pm UTC, it reached a peak of 96 Hz frequency and from there it started going down until it returned to 7.83 Hz normal levels within six hours. According to DisclosureNews.it blog, in February and March there has been “very strong activity on the 17th (letter Q).” I assume that there are no coincidences as 17 = Q letter in the alphabet. GeoCenter.info is a portal where you can track the Schumann Resonance. 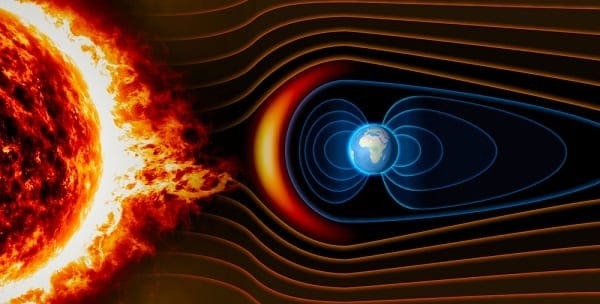 If you want more proof to this correlation, you can read on LiveScience.com that scientists actually found evidence that the brain is able to sense earth’s magnetic field hinting that it affects the brain. What Causes the Rise in the Schumann Resonance? According to Earth Plan Blog , the Schumann Resonance, earth frequency is speeding up as a result of incoming solar waves. An increase in this frequency from 7.83Hz to 12-16.5Hz on some days has been seen since 2012. As up to 60% of the human adult body is water according to Science for a Changing World, the water in our body vibrates at the higher frequency “when we absorb these photonic light frequencies into the biofield” which alters our state on mind and as earth is also vibrating at higher frequencies as a result of this solar light influx from the central sun it pushes all life to these higher vibrations and “gradually awakening from the ‘enforced dream state’, according to Earth Plan Blog. Laurie McDonald, clinical hypnotherapist and abduction researcher, provides an interesting view of how we ascend or experience ascension: that the first step in this ascension happens when our reality is challenged. It causes our consciousness to unfold, and the mind is lifted to being higher minded. The purpose of life is to evolve and tap into your potential. She says that the “Dark Ages” when so much torturing was going on in chambers, as these times were literally dark since the earth was far from the sun in the cosmos and received very little solar radiation while now Earth is close to the sun and receives a lot of this solar radiation that effects us and our evolution or ascension. Therefore, the 3D is slipping away and we move to the 4th dimension for a short time and then we continue to the 5D on the path to our ascension. I definitely resonate with this explanation as to what triggered my own awakening to this false reality that we are all part of it. The shock of becoming aware of the “dark agenda” of the Cabal. This awakening was constantly expanding my awareness by finding out more and more traumatic, devastating information which led me to the point of writing the book about the Mass Awakening to prepare the unawakened ones to this information and also what is coming to earth possible in the near future. Ask-angels.com also emphasizes that awareness is essential throughout the ascension process. You will notice your own beliefs and patterns that hold you back, open up to new beliefs and information, which will help you expand your consciousness. Without this new awareness you remain in the same place, stagnating. We are surrounded by distractions to our minds and we sometimes need to unplug, whether it’s by putting down your smartphone, turning off the TV, and meditate. You’ll also ascend by seeking new information and perspectives on everything you were taught about, discern and validate the new knowledge. I personally also found out that finding people who are like-minded, open to new information and discerning helps me to grow, expand my awareness and move forward. It’s like creating your own “master mind group”. We validate our perspectives and knowledge together, testing it from many sources and angles. It’s not a task for one person from my own experience. And it’s ok to disagree with each other. Truth is the essence of the 5D that we’re shifting to, according to Awakening5DHealing blog, and without it we are unable to open the gates to this 5D. Ascension is about being true to yourself in every aspect of your being. Walk your truth. How Do You Know that You Are Ascending? Other symptoms may include an unusual sleep pattern of interrupted sleep or waking up every three hours as our bodies are energetically worked on and recalibrated during the night. So it may not be surprising that you wake up tired in the morning. We experience these symptoms, as well as others, “at all levels of the physical, mental, emotional or spiritual-energetic layers”, as we absorb light photons throughout the ascension process, which is transmutational in nature. We are changing from inside out on very deep levels. Is Ascension Connected to Moving from a Carbon-based to Crystalline DNA? This is one of the most intriguing aspects of the ascension process; shifting from carbon-based to crystalline DNA. Jovy Wan, certified Quantum Healing Hypnosis Technique practitioner, goes into more detail about this shift in our DNA and explains why there’s a need for such a massive transformation of our bodies. To the Victory of the Light & Let’s Make Earth Great Again. You may copy and distribute this material as long as you do not alter it in any way, the content remains complete and you include this copyright notice with a link to this article.